Standing for Session Initiation Protocol, SIP is the most popular IP telephony protocol. SIP is responsible for establishing a call, controlling the transfer of the voice data throughout the call, and terminating the connection when the call is finished. In addition to these functions, SIP can also be used for other types of communication services. Designed by Mark Handley and Henning Schulzrinne in 1996, SIP has since become standardized by the Internet Engineering Task Force, or IETF. As an application layer protocol, SIP was designed to be independent from the underlying transport layer. It is also flexible as it can run on User Datagram Protocol, Transmission Control Protocol, and Stream Control Transmission Protocol. While Session Initiation Protocol is primarily used for initiating a communication session, User Datagram Protocol or Transmission Control Protocol is used to perform the actual data transmission. Meanwhile, the Session Description Protocol is responsible for identifying and controlling which protocols are used. Essentially, SIP is a widely used signaling communications protocol responsible for controlling voice calls, video calls, and other multimedia communication sessions over Internet Protocol networks. SIP is very similar in its design to Hypertext Transfer Protocol, making it rather easy to integrate it into electronic devices, applications, services, and Web browsers. Since the majority of today’s electronic devices are able to access the Internet, it’s stunningly easy for each of these devices to use SIP for instant messaging, voice calls, file transfers, and more. The designers and developers of SIP were motivated to provide a call setup and signaling protocol specifically for IP-based communications that could support many of the features and call processing functions of the public switched telephone network. However, these features are not defined by SIP as the protocol’s clear focus is on signaling and call-setup. 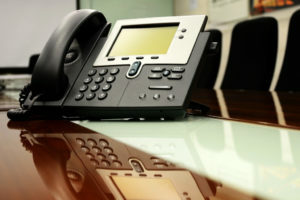 SIP trunking involves the use of voice over IP to create a connection between the Internet and a private branch exchange, or PBX. In effect, a conventional telephone trunk is replaced by the Internet, allowing enterprises to communicate with both mobile and fixed telephone subscribers around the globe. As mentioned earlier, SIP is the standard of the IETF for establishing interactive multimedia communication sessions. A trunk is simply a link or a line that is able to simultaneously carry numerous signals and connect the nodes in a communications system. In order to benefit from SIP trunking, a business or enterprise must first have a PBX that is able to connect to an Internet telephony service provider, all internal end users, and a gateway interface between the ITSP and PBX. One of the main benefits of SIP trunking is its inherent ability to combine voice, video, and data into a single line, completely eliminating any need for having individual physical media for every single mode. This results in enhanced reliability and lower overall costs. The consumer SIP device market continues to grow as more and more devices like SIP gateways, SIP terminal adapters, and SIP trunking services are proving to be worthy replacements for antiquated ISDN phone lines. In fact, many VoIP companies are now allowing customers to use their SIP-capable softphones, telephone sets, and other SIP devices. Today, SIP-enabled surveillance cameras are able to call homeowners or property managers and alert them when a break-in or other event occurs. This serves as an excellent example of the possibilities of SIP, leaving little wonder why its popularity has soared in recent years.